We don’t think in problems, we think solutions. So whatever your needs are, we will deliver. And, if we have not thought of it already, our innovation takes over and we invent it. We are here to ensure that you can do business and excel at what you do best. Just like us. Willteco takes care of the complete technical support; from regular maintenance through the supply of machine parts to technical solutions. In our well-equipped workshop we carry out overhauls and machining on a wide range of technical equipment. Our team of specialists is always ready to carry out technical maintenance and to provide innovative solutions. It goes without saying that our company is SCC** certified and our staff members work by those guidelines. We can now also offer our services throughout Asia. Willtech Asia operates from Singapore and will carry out our services with the same level of expertise that our customers are used to. One of the cornerstones of Willteco’s service package is the supply of technical components and spare parts for the 24-hour industry. Through our excellence in technical support our company grew into an organisation that works around the clock on design, production, engineering and installation of technically durable solutions. We are in the right place for all your technical and mechanical problems. Of course, during all our activities we adhere to all the regulations and repair your equipment according to API specifications, or according to DNV, ABS or Lloyds regulations. Willteco’s activities are deeply rooted in the offshore industry and in shipping. The engine room and the drilling rig have long been our fields of expertise. Therefore, Willteco aims high when it comes to flexibility of manpower, sound logistics and quality products. We will tackle a project with a team varying from two to 200 people. From our well-equipped workshop, and with the use of our mobile work units, our specialists can be on the spot within 24 hours, to put innovative solutions into practice with their decisive actions. During any project, our staff use high quality materials and we also have access to a varied stock of technical parts. Technical solutions are our strength and we are more than happy to apply them in practice immediately. Thanks to this philosophy, Willteco is the leading partner for maintenance, design, engineering, manufacturing of new spare parts, assistance with docking, troubleshooting and drilling rigs. 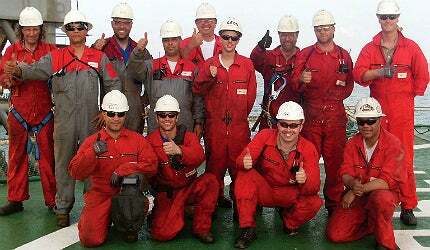 All our staff members undergo regular offshore training and they can start work immediately. Willteco has grown steadily since its establishment back in 1990.